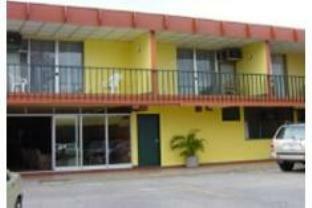 ﻿ Best Price on Costa Rica Tennis Club Hotel in San Jose + Reviews! Costa Rica Tennis Club & Hotel is located opposite the city’s biggest park, Parque de la Sabana. 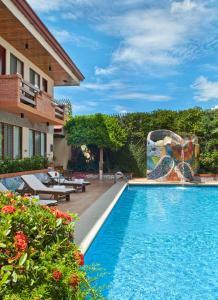 It has an outdoor swimming pool and several tennis courts, and offers free onsite parking. All spacious rooms feature carpeted floors and include cable TV, a telephone and an armchair. Some rooms have a furnished balcony, a small fridge and a coffee maker. The bathroom with shower includes free toiletries and a hairdryer. The Costa Rica Tennis Club Hotel offers a wide range of sports facilities, including a gym, spa, and aerobics room, as well as a basketball court, football field and a bowling alley with 8 lanes. There is also a games room with a billiard table and children’s entertainment. You can enjoy characteristic regional food at El Cedro grill restaurant, and there are many restaurants, bars and shops in the vicinity. A shuttle service is available at an additional cost, to and from the airport, and within the city. The hotel also has a tour desk and offers a car rental service.